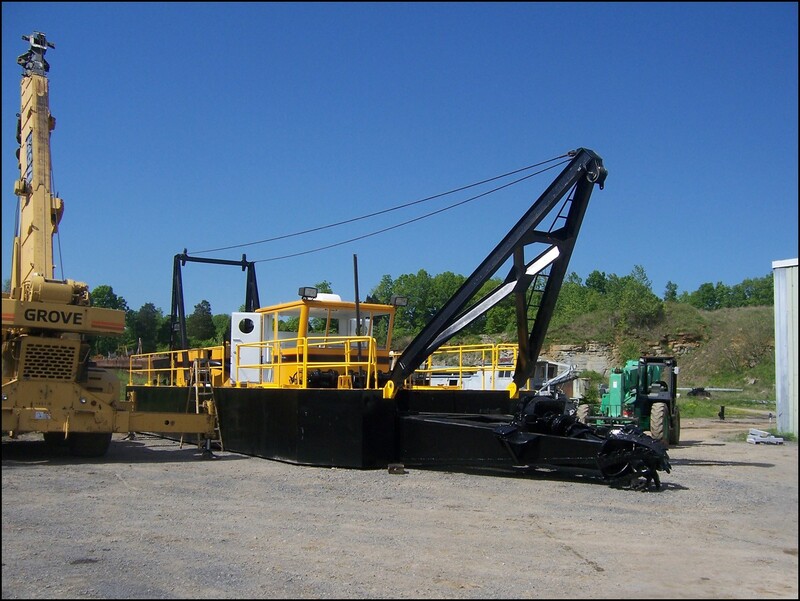 Please contact Dredge Central at (615) 859-3733 or use our contact form. 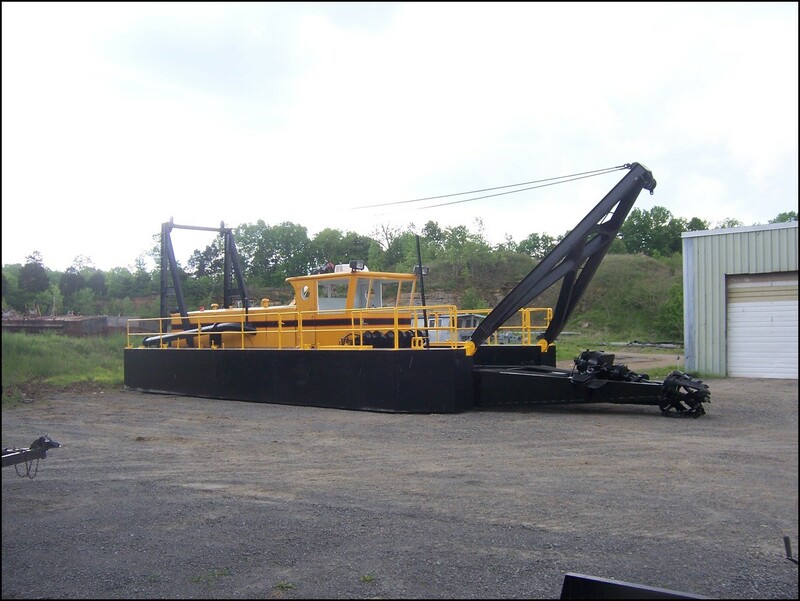 Completely Refurbished AMMCO Used Dredge Now Available! 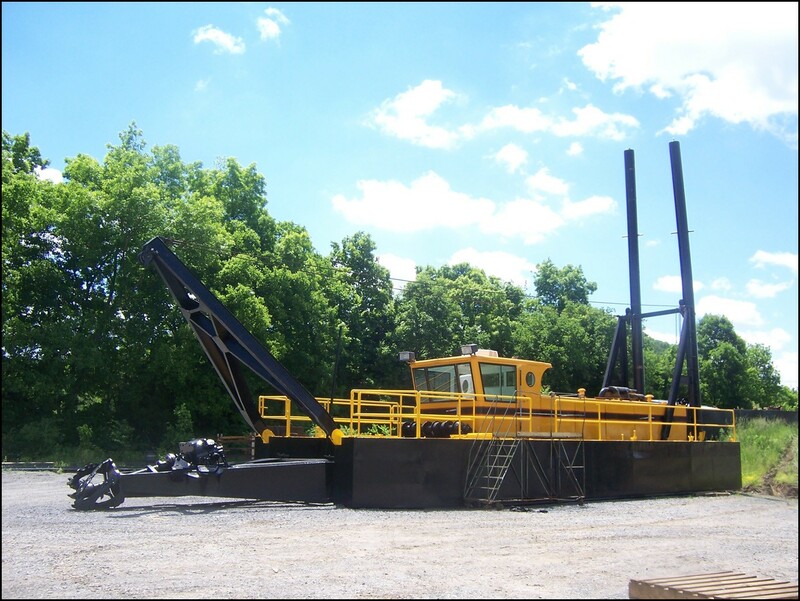 Dredge Central, LLC – The Used Dredge Center – is happy to announce the immediate availability of our first completely refurbished used dredge. 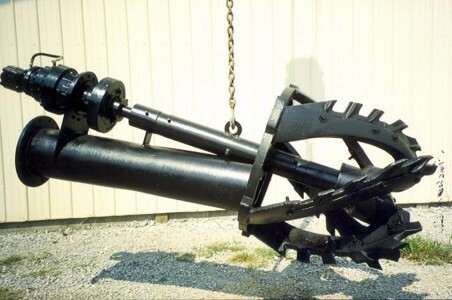 This is a 10-inch AMMCO model PD-10E, one of AMMCO’s most popular and versatile dredges sold worldwide. 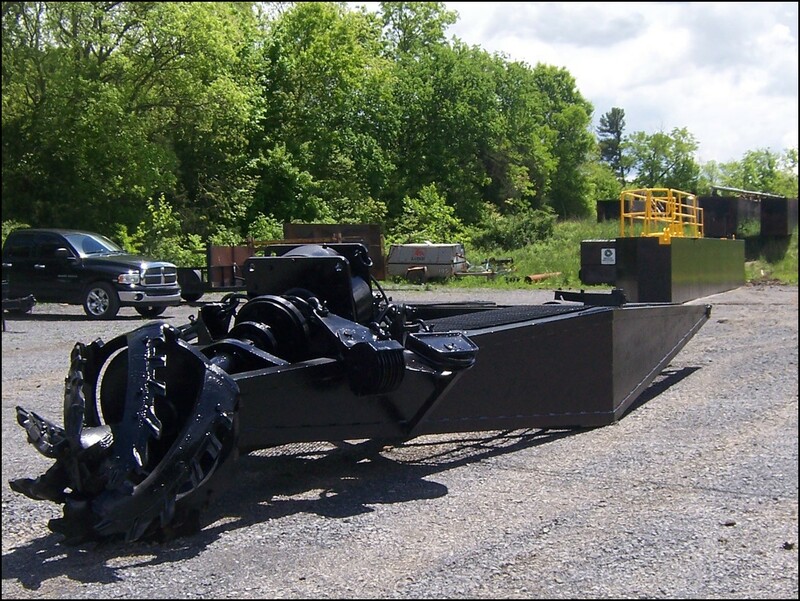 This standard model used dredge features a conventional three-piece hull measuring 50 ft x 20 ft x 5 ft (15.2m x 6.1m x 1.5m) when assembled. The original side pontoons were replaced with stainless steel tanks by a previous owner. This entire hull, including all structural and sheet metal components, remain in very good condition. 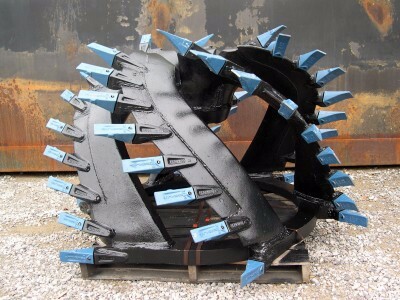 The heavy-duty AMMCO ladder is 32 ft long (9.75m), allowing dredging depth of 27.7 ft (8.4m). 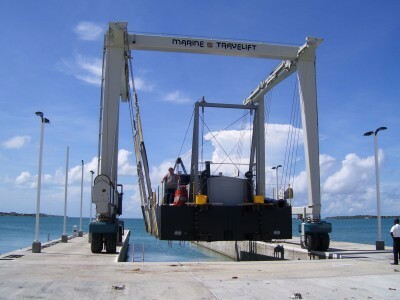 The ladder and side pontoons can be extended if necessary for deeper dredging. 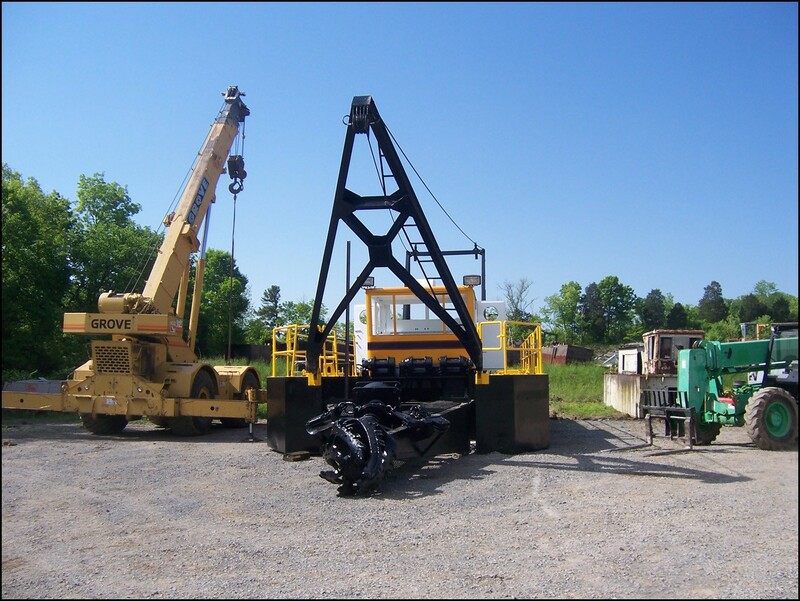 Primary plant components, all housed in the center-section machinery room, include a heavy-duty AMSCO 12” x 10” (300mm x 250mm) Form 32 dredge pump, with Caterpillar model 3408 main diesel power, approximately 475 hp (354 kW). 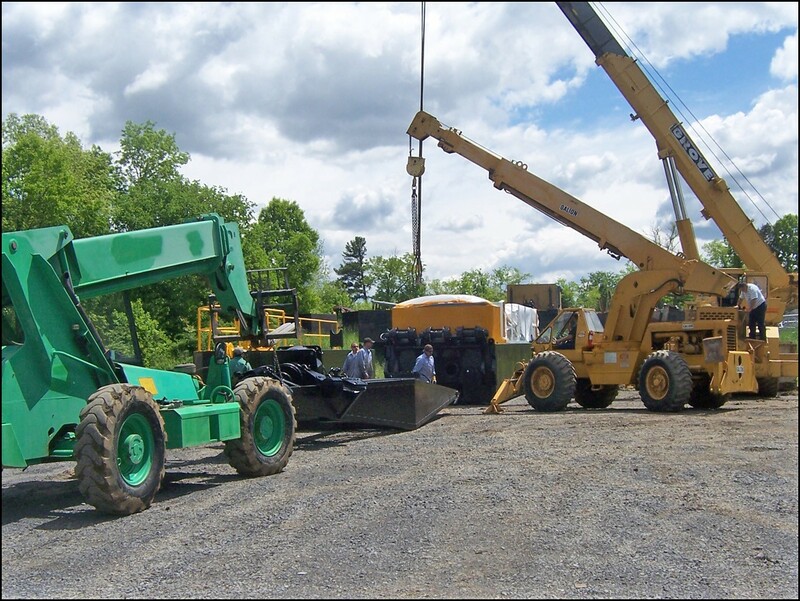 Auxiliary power is provided by a Cat 3306 rated 240 hp (179 kW). 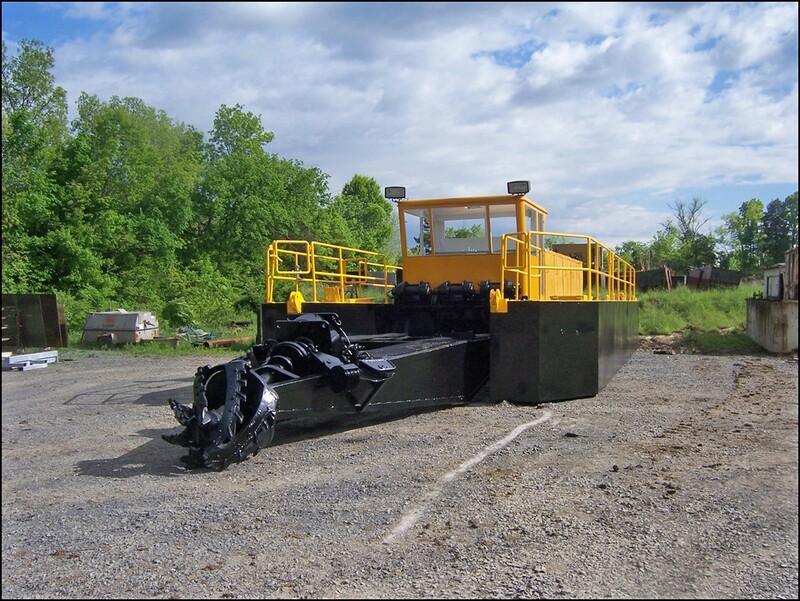 The cutter assembly consists of a 125-hp (93 kW) motor driving a 6-blade cutterhead, with replaceable serrated edges, 31-½” (800mm) backring ID. 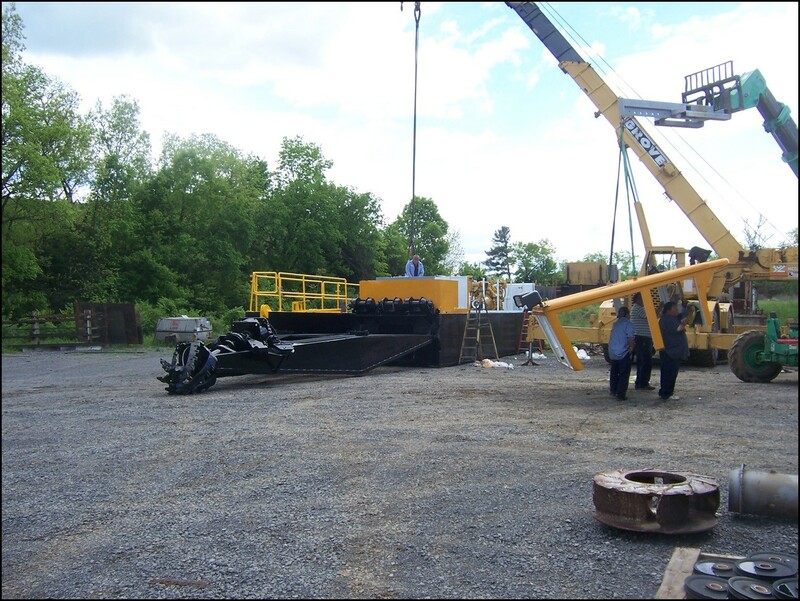 Swing positioning and ladder hoisting functions are provided by Pullmaster winches; the spuds are raised and lowered by double-acting hydraulic cylinders. 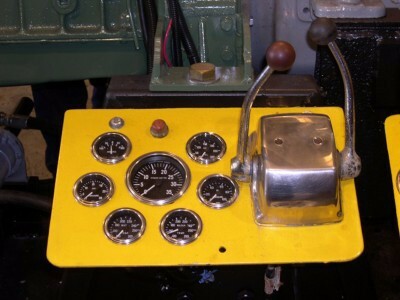 The operator’s control cabin is air-conditioned, spacious, and efficient, with all controls within ready reach, and all gauges plainly marked and easily visible. 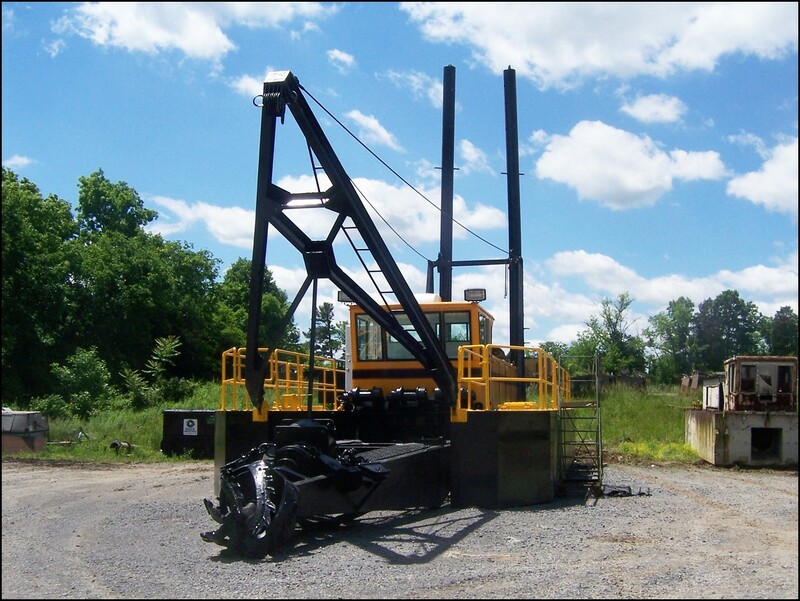 The operator of this machine will hardly feel like he is running a used dredge – it will perform like new. This completely refurbished 10-inch AMMCO used dredge is now available. 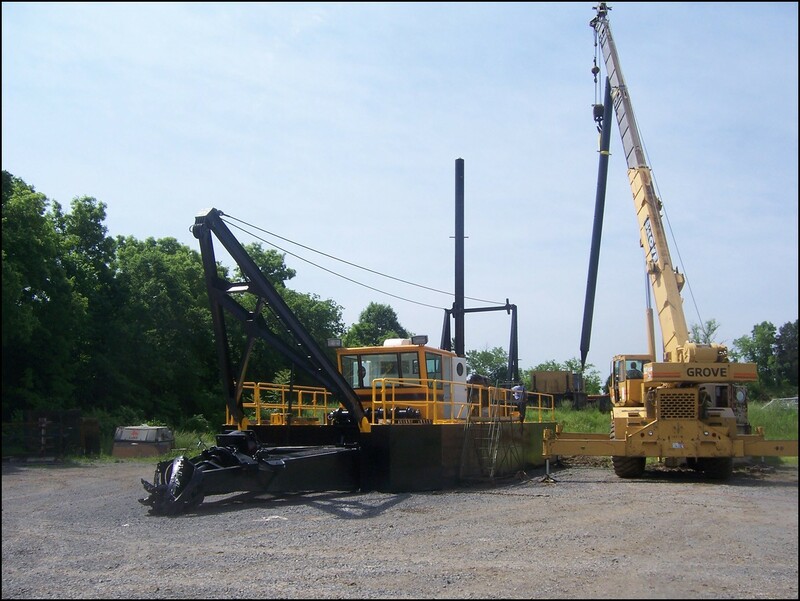 Please contact Dredge Central, LLC for more information, or to discuss your specific needs. We are at your service! 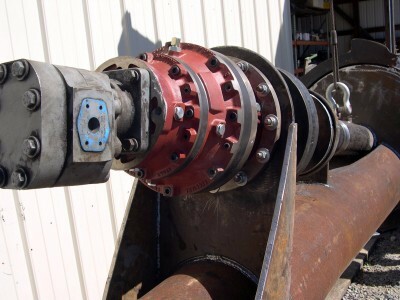 Do you need dredge parts or service? 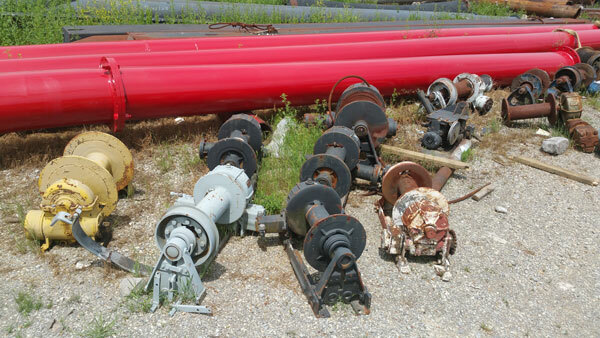 Has your dredge, or some of your dredging equipment seen better days? 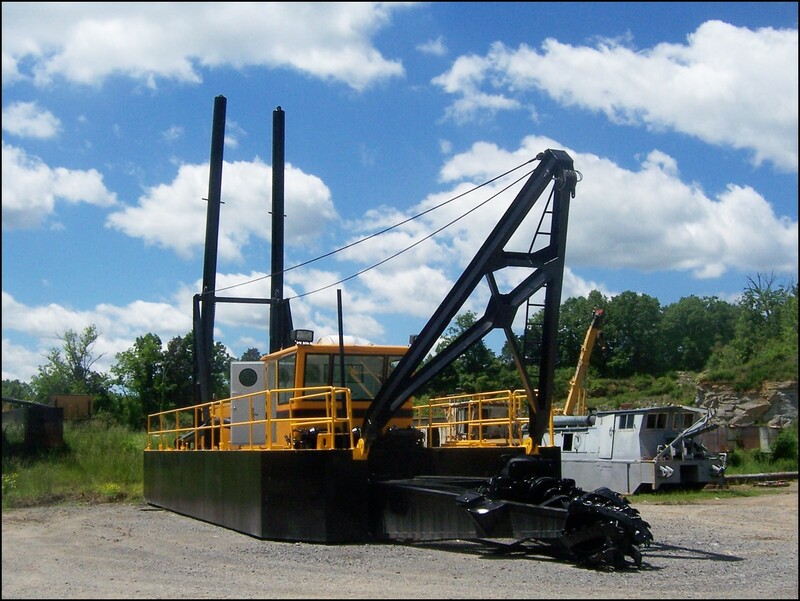 Dredge Central combines experience unmatched in the industry with low overhead and a broad network of contacts and associates to deliver our customers what they need, at a price they can live with. 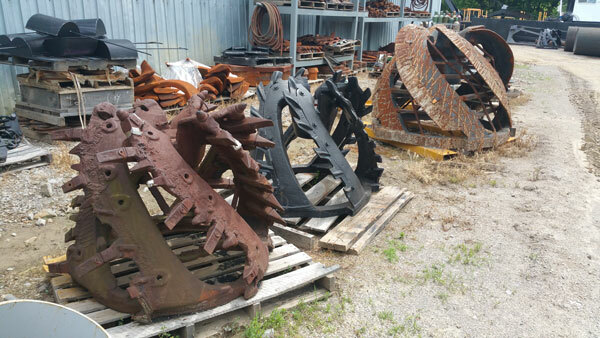 We are experts in dredge service and refurbishing, and our dredge parts department knows how to sell whatever you need at the most competitive prices in the business. 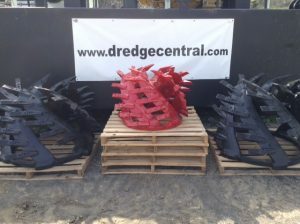 Dredge Central is experienced in service and repair of virtually all makes of portable cutter-suction dredges. If you have one that needs some work, we’ve probably seen one just like it. If it just needs a little TLC, our work is second to none. 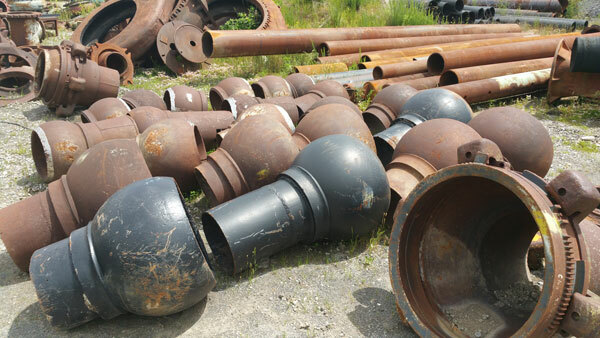 Our experience also allows us to buy OEM replacement parts from a list of suppliers that we have built up for generations, which now includes Ellicott Dredges. 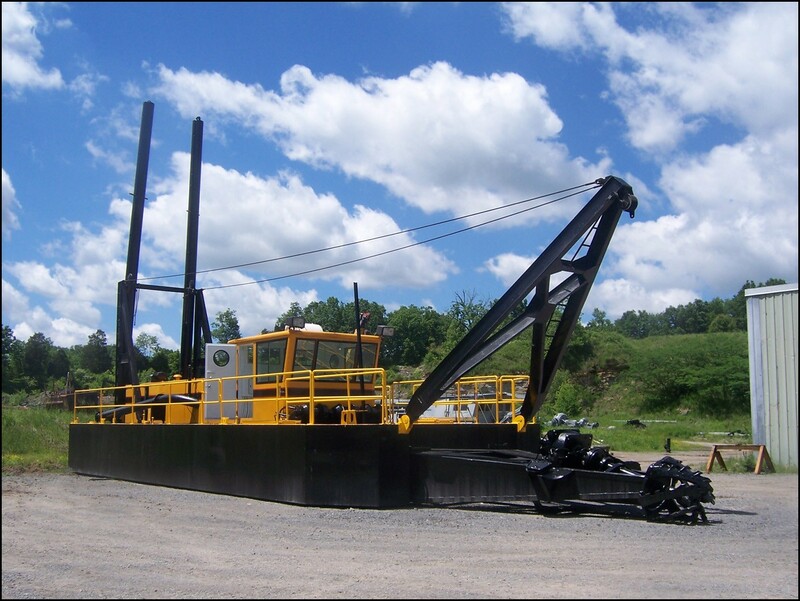 We specialize in cutterheads, cutter drives, and complete cutter assemblies. And if your ladder has seen about all the use you’re going to get out of it, let Dredge Central quote you a new one. We can also extend your existing ladder if you need to go deeper than your current configuration allows. 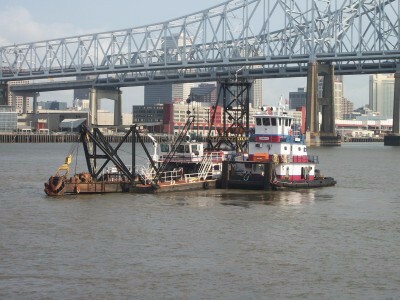 Dredge Central’s dredge moving and salvaging experience is also unequaled. 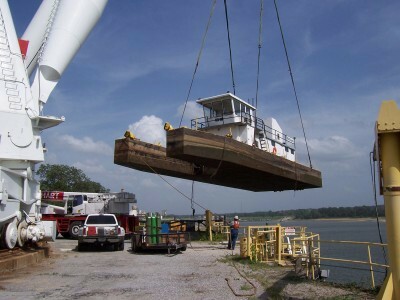 If you have a dredge that needs to be dismounted, moved, and re-launched, anywhere in the world, we have the personnel and business associates to make it happen. 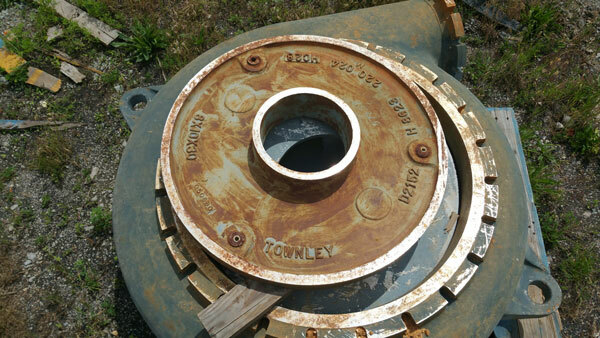 And we all know that, unfortunately, dredges can sink, for a variety of reasons. 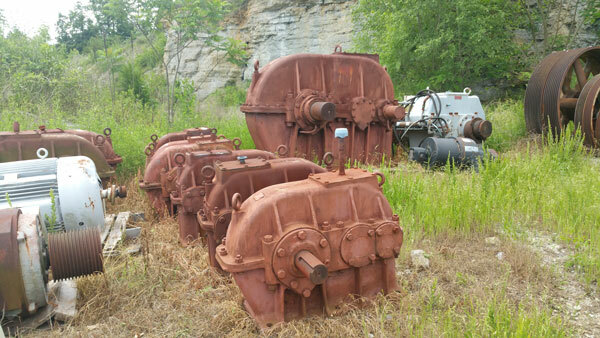 In most cases we can salvage sunken dredges, and put it back into service for you, or perhaps buy it for restoration and resale. 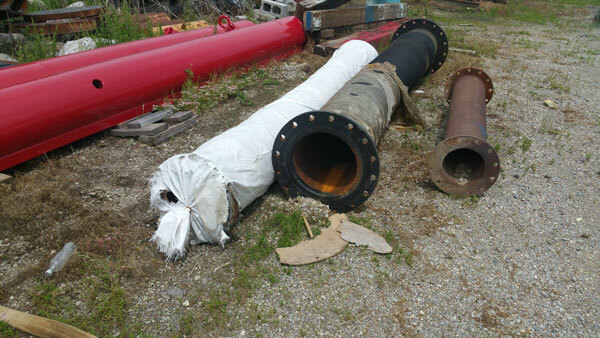 By the way, don’t forget to ask for a quote on new or used HDPE discharge pipe and rubber suction or discharge hoses. 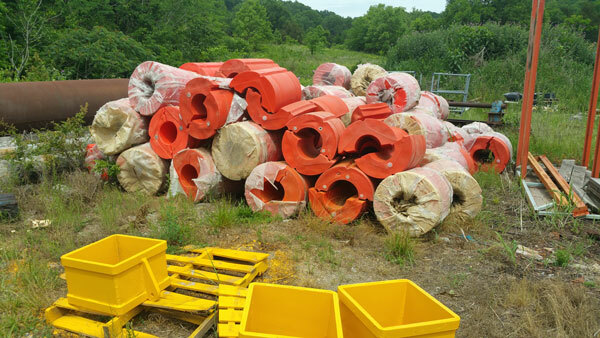 Take as much stress as you can out of your life – call Dredge Central and see how we can make all of your dredge-related concerns simpler for you. We are at your service!